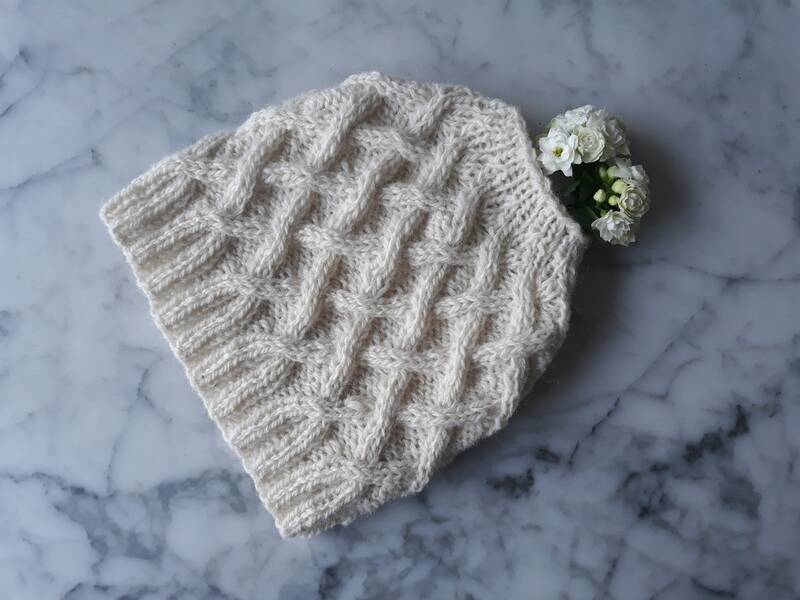 Knitting pattern: Aran Messy Bun Hat. Digital download. 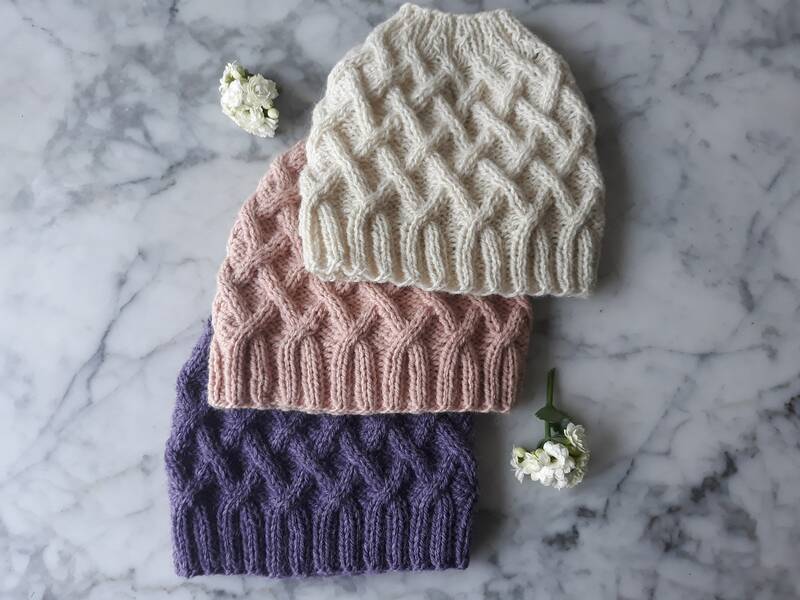 Knit your own hat. 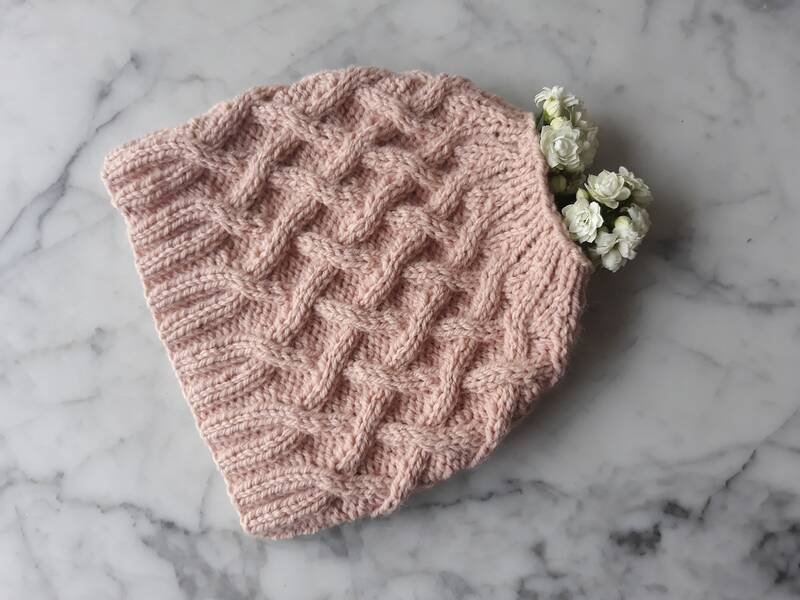 Knit hat pattern. Instant download PDF. 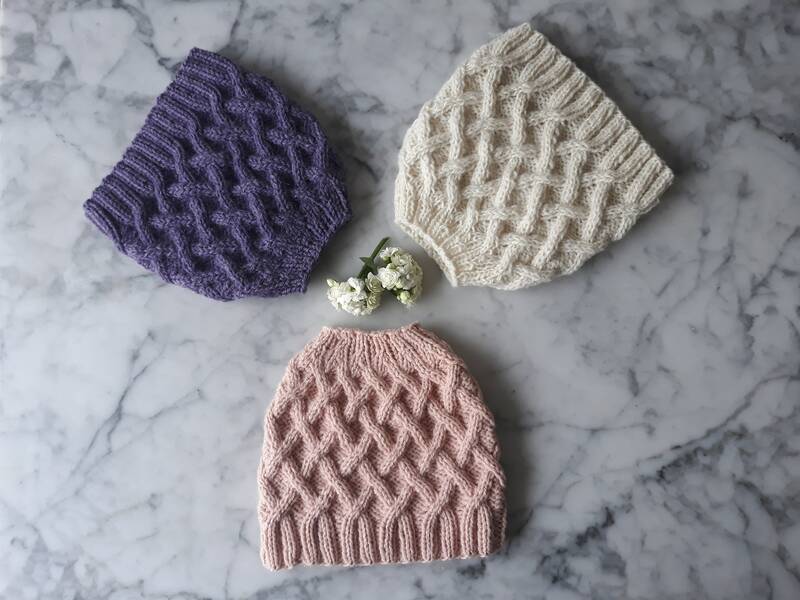 Cable knit hat pattern. 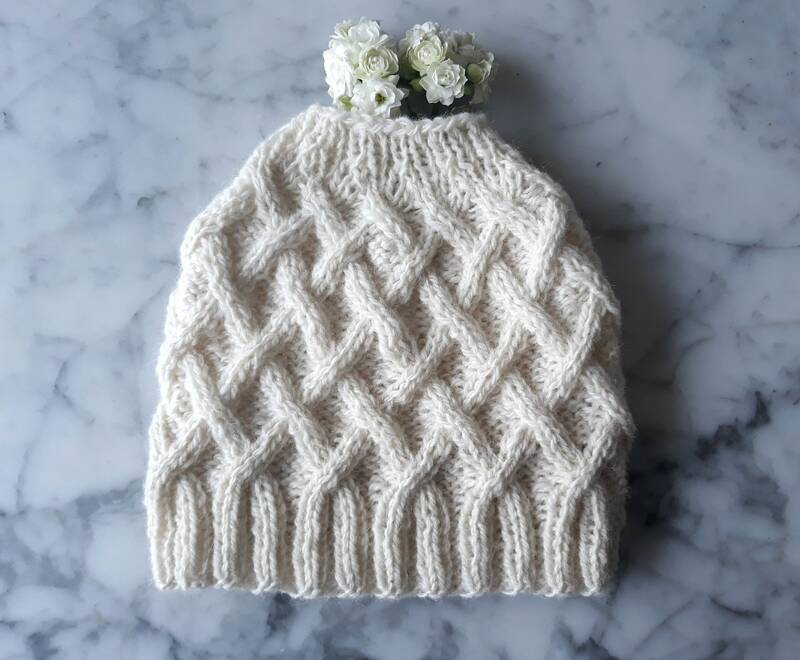 Knitting pattern: Aran Messy Bun Hat. 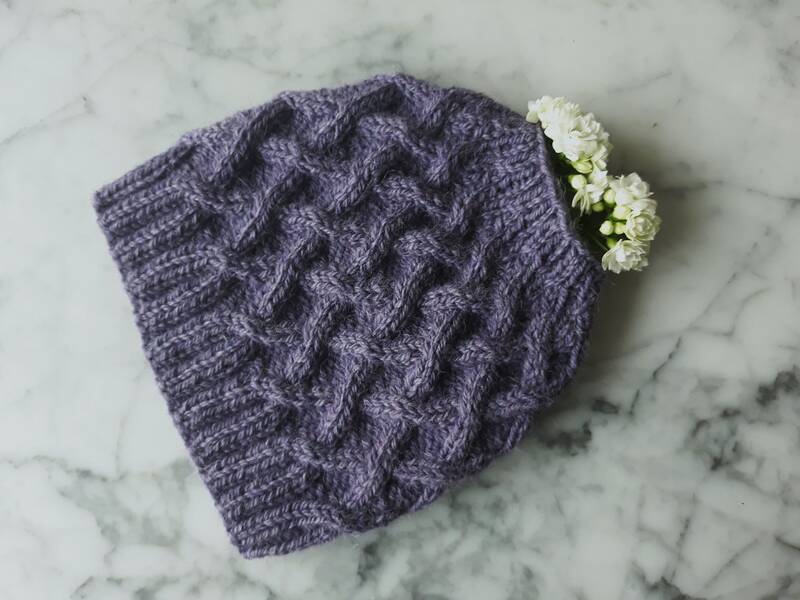 As a knitter from the Aran Islands, I know that most hats there are needed to keep you warm and dry: a hat with a hole at the top means you’ll get wet! 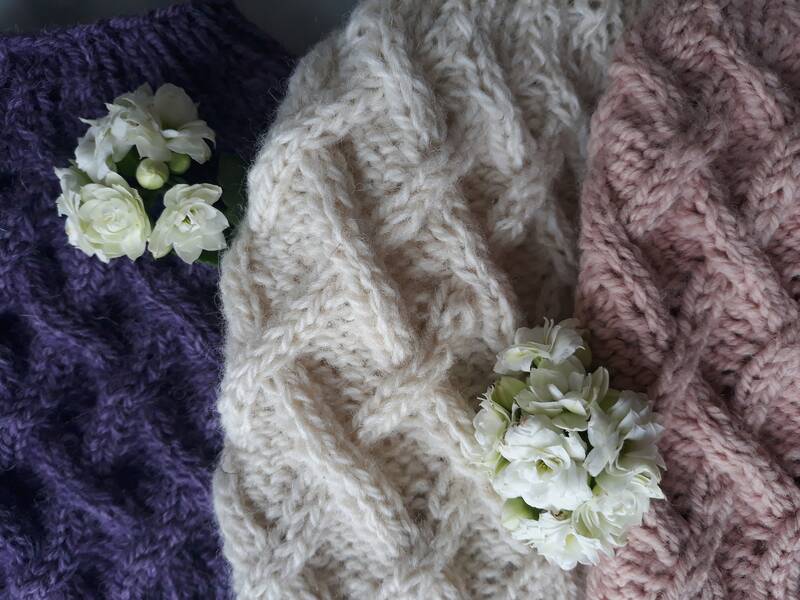 However, as the Aran style has travelled the world, it has proven capable of adapting to modern fashion, and the Aran Messy Bun Hat is no exception. 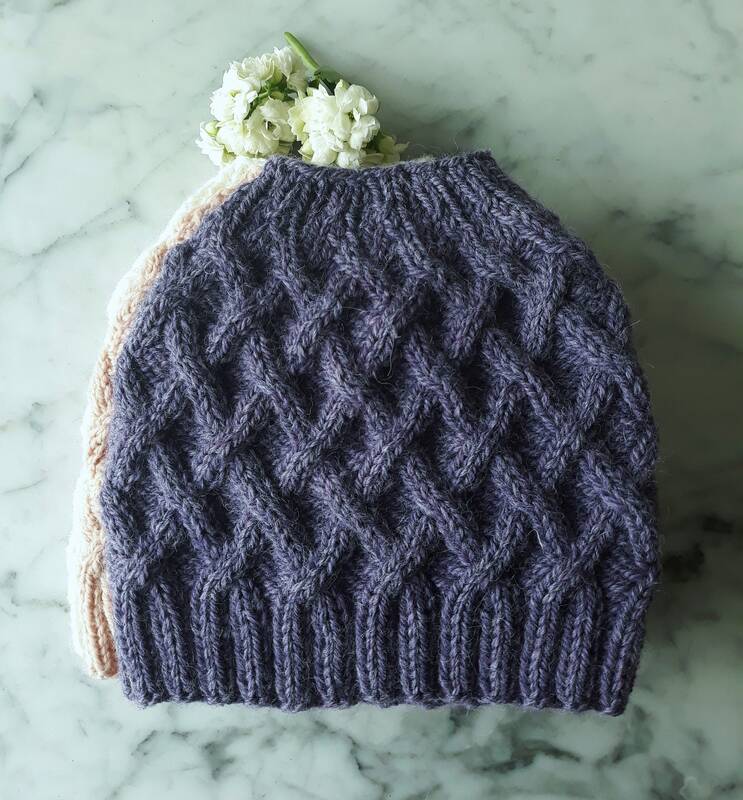 Designed to let your messy bun or ponytail flow out of the top, this beanie style hat is knit in the round, on two sizes of circular needles, and features criss-crossing cables that rise seamlessly from the brim to the crown. All hats measure 8 inches/20.5 cm from brim to crown. 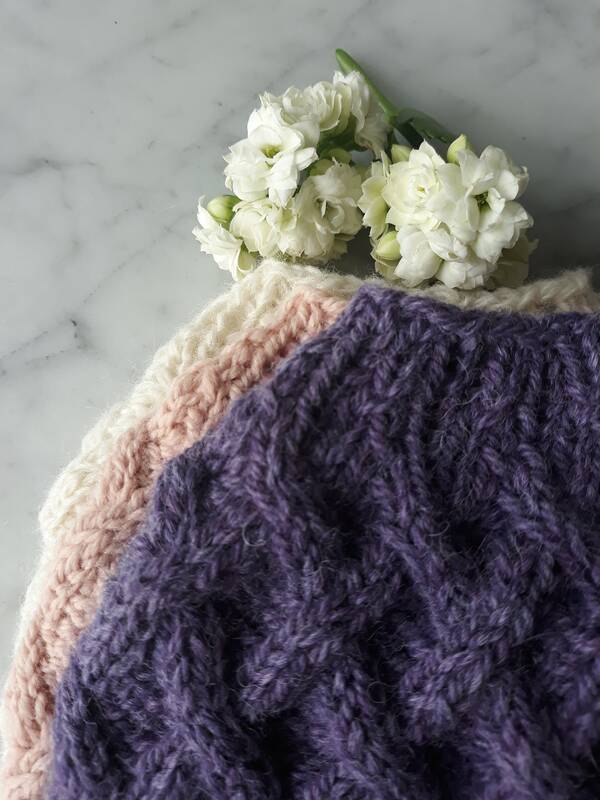 In all hats, the hole at the top measures 7 inches/18 cm in circumference. 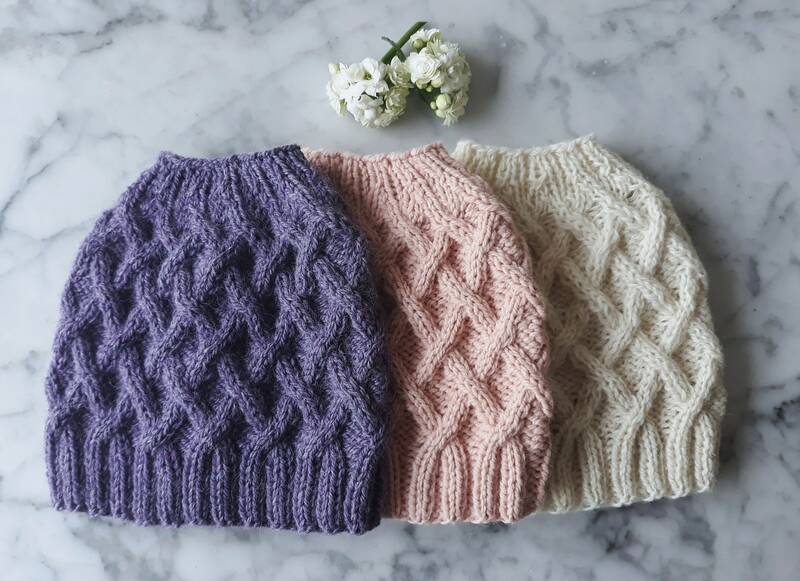 The ribbing allows for some stretch, and a comfortable fit.